West Australian Ferret & Ferreting Society Inc.
Website: West Australian Ferret & Ferreting Society Inc. 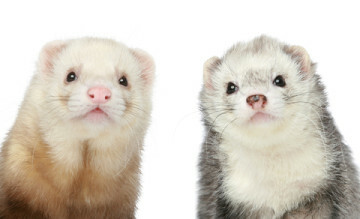 Number of Ferrets Facility & Foster Homes Can Accommodate: unlimited due to multiple carer homes. WAFFS is the oldest and largest ferret welfare organisation in Australia. Founded in 1981, our club has members in all states of Australia as well as overseas. Our main reason for being is to provide education and assistance to our members and the general public on the health and welfare of ferrets and we try to keep abreast of current issues so we can continue to do this job in an efficient and acceptable manner. A wide range of services is available to our members. Through our Society we can organize services such as sterilization, immunization and boarding of your pets when needed. Members of the committee can give advice on health issues and are able to refer you to a “ferret friendly vet” in your area. Our Society responds to calls from members of the public, RSPCA and other welfare organizations to collect found ferrets and keep them safely until claimed or re-homed. Anyone losing a ferret should ring our Ferret Rescue coordinator on 1300 133 323 and you will receive advice on what procedures to follow. Ferrets which are not claimed after being advertised in the local newspapers for two weeks are found homes within the Ferret Society. Listing Title: West Australian Ferret & Ferreting Society Inc.